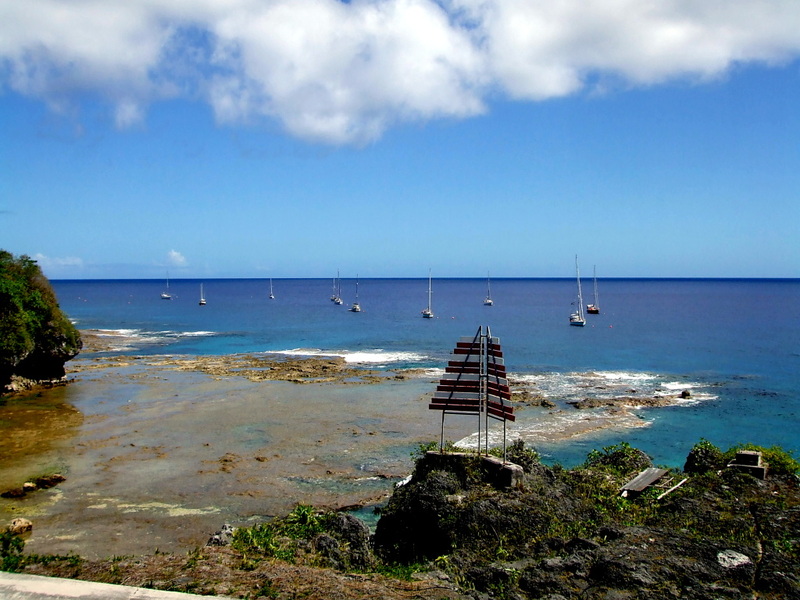 Around 900 AD, Niue was settled by Polynesians from Samoa. Other settlers arrived around the 16th century from Tonga. Until the beginning of the 18th century, there appears to be no national leader or government. Chiefs and heads of family exercised authority over the population. Around 1700, the practice of kingship emerged. Captain James Cook was the first European to sight Niue and named it "Savage Island" because the natives who greeted him looked to be painted with blood. For centuries, Niue was called Savage Island until its original name was translated as "behold the coconut." Its official name is still Niue fekai, meaing "wild Niue. Niue is an island in the South Pacific Ocean. It is commonly known as the "Rock of Polynesia". Island natives call it "The Rock". Although it is self governing, Niue Island is in free association with New Zealand, therefore lacking full sovereignty. Queen Elizabeth is the head of state for Niue. 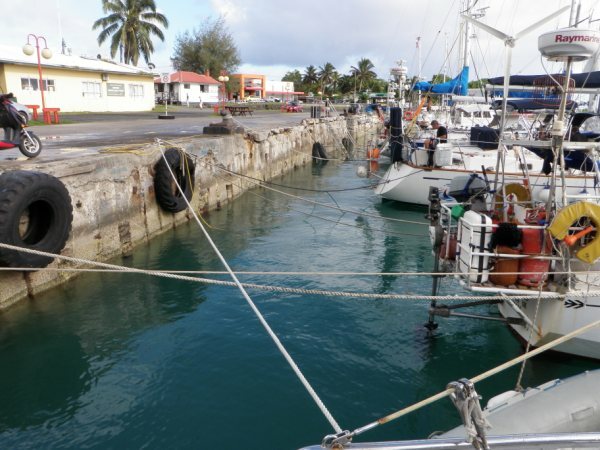 The majority of diplomatic relations are conducted on Niue's behalf by New Zealand. 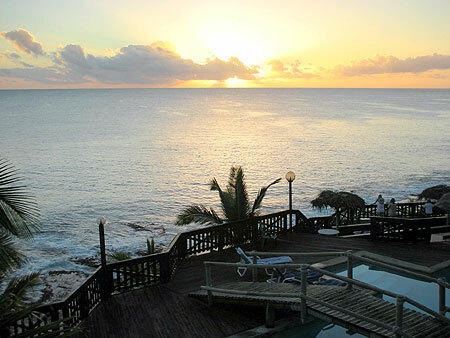 Niue Island is located 1,500 miles northeast of New Zealand and forms a triangle between Samoa, Tonga and Cook Islands. Population is predominantly Polynesian. Niue's top largest cities are Alofi and Hikutavake. There are hundreds of caves and chasms on Niue's coastline. Some are hard to find or have tricky access, so guides are highly recommended. Vaikona is one of the most popular and remarkable chasms on the island. 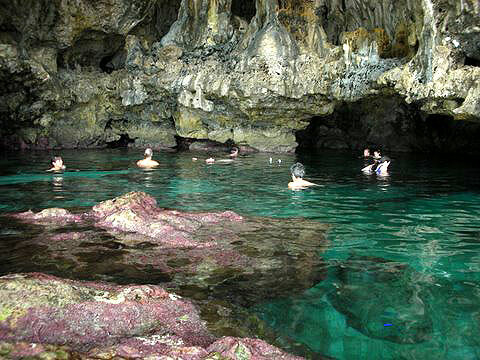 Avaiki is another popular cave on Niue, and it has a good swimming hole in a cave north of the main cave. Another attraction is Peniamina's Grave. Peniamina is the first person to bring Christianity to the island. The grave is located on the left-hand side of the road three miles north of Alofi near Makapu Point. 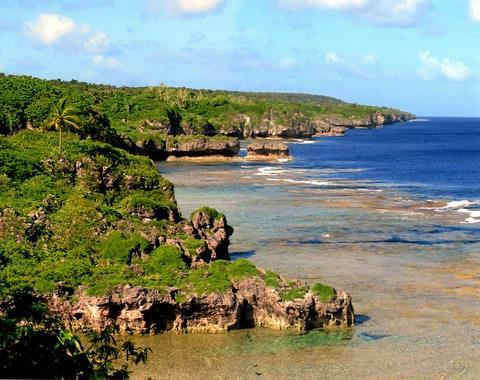 Limu is one of Niue's most beautiful and famous snorkeling areas on the northeast coast of the island. Limu's water is a mixture of fresh and sea water. Limu is located at the northern end of Manukulu Village and provides thatched shelters and barbecue areas. There are several grocers and supermarkets in Alofi, but their hours vary. The largest supermarket is Swans, and its hours are Monday through Friday from 9 a.m. to 4 p.m. Eating properly requires organization in Niue. It is recommended if staying in a motel or planning to cook your own food, that visitors do grocery shopping soon after arrival to avoid any problems. Niue Island restaurants cannot afford to be open all of the time, so calling around and making reservation is essential. The Niue Tourism Office can provide an up-to-date list of restaurant locations, hours of operation, services and contact information.